You would think an ecommerce sales funnel would be easy to create. After all, it’s rather simple. A customer comes to your site, falls in love with your amazing products, and can’t wait to purchase. The reality is another story: we know customers need 5.5 touchpoints on average before feeling comfortable enough to purchase with you. We know that customers are multichannel, and will use a variety of channels to access your site. We know that love at first sight doesn’t exist, at least, not in the ecommerce industry. The point is that your sales funnel needs constant optimization to respond to ever demanding customers. So today we’re going to take a look at the customer journey and how it lines up with your sales funnel. We’re going to examine each step of the customer journey, where customers can drop off, and how to mitigate the reasons a customer might not convert so you can recover those lost potential sales. When customers are in the awareness phase, they’re beginning to discover your brand, your products, and your offer. They’ll navigate between the home page, the category and product pages. When customers are in the consideration phase, they’re adding products to their cart and beginning the checkout phase. Of course, acquisition happens once the customer has purchased. Understanding and employing smart data driven strategies can be the difference between losing these sales forever, and recovering them for more revenue. The average bounce rate for an ecommerce site is between 20%-45% depending on your industry. A higher bounce rate can be an indication that there’s an issue with your UX, preventing customers from connecting with your brand. A high bounce rate is typically a mismatch between your offer and your target. It’s important to understand why customers bounce so you can optimize your site so that they’ll stick around long enough to fall in love with your offer. Slow pages and long loading time can be the kiss of death for online sellers, especially for mobile traffic. What’s worse: Google will actually penalize you for long loading times which will affect your SEO. If you think you might be a victim of long load times, check your site with Google PageSpeed Insights to see how your store is performing. This tool will also show you how your site speed is performing on mobile. If you’re particularly skilled in development, you can also reduce unnecessary code from your site and reduce file/photo size (without sacrificing quality or resolution) to speed up your site. Bad targeting and unoptimized landing pages go hand in hand: the landing page is your message, and the site visitors are your target. You need to make sure that your message is adapted to your target. For example, if the message that you send that brings in the lead isn’t the same as the message on your site, your target won’t stick around. On the other hand, if your target isn’t receptive to your message, they won’t find your site relevant. Make sure that your marketing campaigns are targeting the right people- meaning that the messages that you have on your social media, in blogs, and in ads are cohesive and match well with your offer. Underline your USP with your message to make sure you’re bringing in the people who are interested in what you have to offer. Also, be sure your landing pages are streamlined and respond well to your target- attract them deeper into your site. If someone can’t even get to the menu of your site, you’re going to have a bad time. You can’t afford to drive people away with an unusable site. If you think navigation is an issue, find the least tech savvy person you know and have them complete a purchase on your site. Have them narrate out loud what they’re doing in each step and see if it’s understandable and easy to work with. Check out our article on how to fix UX errors. On a personal level, this is the first thing that makes me leave a site. If I get there and I think the site looks the slightest bit shady, there’s no way I’m inputting a credit card number anywhere on the site. First, make sure you have an SSL certificate. If your address doesn’t begin with https, it’ll be a no-go for most customers. Second: show trustmarks and trust badges on your site. A trustmark is when a trusted third party vouches for you and your site. These can be helpful in fostering trust with your customers. Speaking of trust, make sure your customer reviews are prominent on your homepage (simply adding the stars and a tiny number with the number of reviews should do if you want to keep it clean). This not only shows that others have had good experiences with you, but it also helps with your SEO. Finally, show your secure payment options from the door. Make sure that if you offer secure checkout, or checkout with PayPal, customers know that relatively early. You want them to know their personal information will be safe. I get asked by a lot of online sellers for a store critique- and this is the most common flaw I see. What sets you apart from the competition? Why should I purchase from you rather than the other million stores selling what you do? What are you doing to make it advantageous for the customer? Your USP can be literally anything. 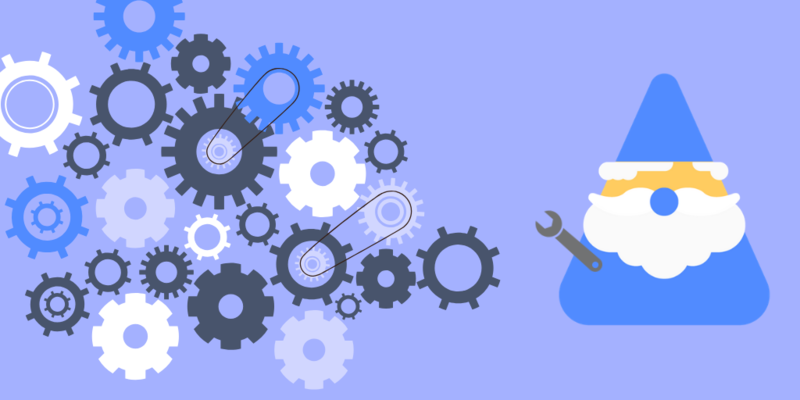 Once you know what it is, fixing it is as simple as communicating it on your site and in your external brand messages. Bounce rate is a relatively popular yet misunderstood KPI. So let’s take a look at what this looks like in your data so you can see how to spot problems. Here, what I’ve done is filter for only Google channels, so we have AdWords, organic search, retargeting, and display advertising. We can see that there is a clear problem with retargeting and display ad campaigns. Also, considering the reasons that customers bounce, we can hypothesize that this is a targeting issue for these campaigns. Why? Because there’s a low bounce rate for AdWords and organic Google search. So we know that there isn’t necessarily a UX problem. The fact that organic is successful means it’s likely not a loading time issue, and there’s high conversion across those two Google channels so we know that it’s not a lack of USP or site credibility. As these campaigns are paid and manually targeted, we can say that this is likely a targeting problem. This is just one example of how you can see an ecommerce sales funnel leak in your data, how you can find the exact problem, and how to fix it. Browse Abandonment Rate: Why Do Customers Leave while Browsing? So what happens if customers get past your homepage but they end up leaving once they navigate through your site a bit? This is called browse abandonment rate- and with an average conversion of just 3%, this means that 97% of all website visitors never even see the checkout page. The reasons that a customer may not make it to the cart are nearly endless. It could be from poor navigation deeper within your site, it could be dissatisfaction with your prices, sizes, descriptions, or even your shipping and returns policy. That might seem discouraging- but it shouldn’t be. Browse abandonment is a natural sales funnel leak that may not even have anything to do with you. Browse abandonment is completely natural because customers of today need several touchpoints to feel comfortable enough to purchase from you. 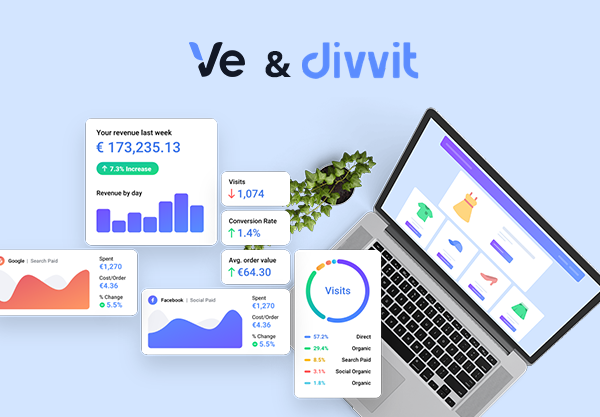 At Divvit, we count 5.5 touchpoints on average. In the natural purchasing lifecycle, a customer may need 5, 10, 50 touchpoints before they’re ready to make a purchase. The most important thing you can do to combat browse abandonment is to make sure your UX is as fluid as it possibly can be, that you offer enough incentives to keep your customers coming back, and that you find great reasons to keep engaging with them across all channels. If you’re lucky enough to capture their email at some point in the process, you’ve got a leg up on keeping them engaged. Going back to the customer journey we covered earlier, those that are browsing your site are still in the awareness phase. Understand that while customers are in the awareness phase, we consider them to be low-intent customers. This means that we have different goals when we’re sending browse abandonment emails. You want to work a bit quicker than you would with cart abandonment emails (which we’ll cover a bit later). A lower intent to purchase means that your customers will forget about you more quickly than cart abandoners. So send your emails within the first 20 minutes after a customer abandons your site, and if done well, your open rates should be between 20-60%. 2. What kind of tone should I use with a browse abandonment email? Using a support tone is much more approachable, rather than a harder sales tone. In your first follow up email, just let your customers know that you’re here to help and re-engage with them. Since these customers are low-intent, just remind them of different options for the products they were most recently viewing. Don’t go overboard- 2-3 products should do. If there are any markdowns, be sure to include them as well. You catch more flies with honey- it just depends on the sweet incentive you want to offer. These have a high chance of bringing your customers back in, especially if price was the factor in them not completing their purchase. If you offer special payment or financing options, make sure your browse abandoner knows it! Paying over several months or deferred payment can be useful for certain customers and high-price industries. You don’t have to be hard about it, but suggesting or alluding to low stocks and ending sales can be the extra push your customer needs to convert. Try playing up the scarcity factor to profit from FOMO. One thing you know about those who browse your site is that there’s some level of interest in your products. Maybe they just didn’t find the right one! Product recommendations can be incredibly useful when done correctly. By showing similar products that your customer might be interested in, you elevate the chances that they’ll come back and check out what else you have to offer. When the other tactics aren’t working so well, offer different kinds of content to get the customer interested and re-engaged with your brand. Try blog posts, success stories/testimonials, product reviews, or videos to engage. Note, this is content that should be sent after you’ve tried more sales-oriented tactics. We in the ecommerce industry understand that you might know they looked at 112 different products on your site. You don’t need to tell your customer that you know that by sending them an email with all 112 products. Don’t abuse that power. By keeping your tone supportive and using these tactics to re-engage your customer, you will reassure them and potentially get that sale down the line. There’s nothing to be gained from spamming them every day. So now that you’re an expert on bounce rate and browse abandonment rate leaks, let’s focus on our high-intent customers, the cart abandoners. 7 out of 10 online shoppers abandon their carts without finishing the purchase. This is the typical average for the ecommerce industry, and it’s one of the biggest ecommerce sales funnel leaks that exists. When customers add things to their cart, they’ve entered into the consideration phase of the customer journey, and we consider them to be high-intent customers. So what does that look like in your data? We can see here that mobile is driving the most traffic for your site, but it’s ultimately suffering from the highest cart abandonment rate. Compared against desktop and even tablet, it’s not performing so well. This tells us that we have an issue with the checkout flow on mobile. 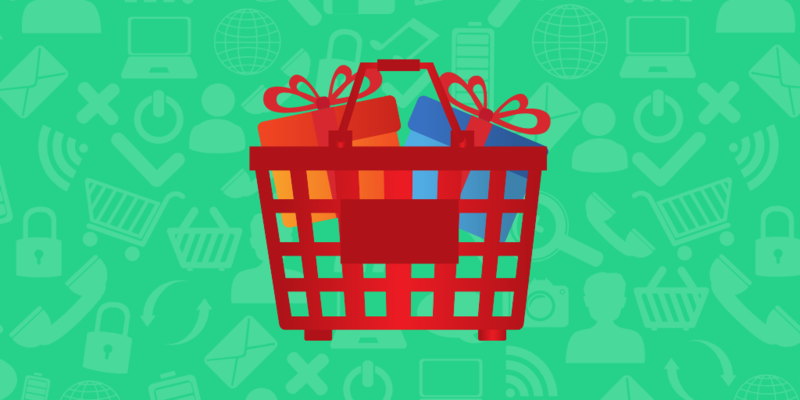 There are many reasons why a customer might abandon their cart- and they usually fall into two categories of fixes: site optimization, and abandoned cart email campaigns. The first four reasons fall into optimization of the checkout flow and UX. In fact, there are 6 main checkout flaws that we see in the ecommerce industry that are super common, but relatively easy to fix. Having a checkout flow that’s less than perfect is the best way to get a customer to abandon their cart, never to return. There are several typical flaws that you can fix to get a more streamlined, frictionless checkout. When you’re shopping online, it’s such a pain to have to enter shipping and billing addresses twice when they’re the same- especially on mobile. Use smart forms, one page checkout plugins, autocomplete shipping fields, or just have an option for a customer the add in a separate billing address if it exists. Seriously, if you’re doing this, it’s time to stop. Maybe a customer doesn’t want an account. Being forced to create one is such a hassle, especially on mobile. The last thing your customer wants to do to finalize their purchase is have yet another account on another site. Try asking for the account creation after the sale is finished. This is a great example because it offers clear benefits to your customer- like tracking their order and getting discounts. It’s also simple for your customer to do- all they need is to enter a password in the field and they’re done. Your CTAs and landing pages should always pass the squint test. If you can squint at it and tell exactly where your CTA is, you’re good to go. But when you have 4 different buttons that are all about the same size in the same color, it confuses the eye and you’re not sure where to go. Streamline your checkout page so that the customer has the information necessary without any distractions. This checkout flow is logical, the eye knows exactly which line to follow, and there’s no question about what you need to do next. Security is always a huge issue for customers- and rightfully so! They’re giving you their sensitive information and trusting that you won’t scam them. Having a checkout page that doesn’t seem secure (or worse, isn’t) is going to make a customer leave quicker than anything else. First of all if your checkout isn’t secure- that needs fixed, stat. If your checkout just doesn’t seem secure, that’s an easy fix. Simply adding the words “Secure Checkout” to a checkout page will help reassure your customers. If you want to go even further in proving that your checkout is secure, post trust badges and secure payment methods you offer. PayPal can go a long way in helping a customer feel more secure when purchasing, especially with the easy mobile checkout. Having a checkout like the one above with almost no product or shipping information, and full navigation can be a perfect recipe for an abandoned cart. A lack of product information/description means that the customer has to renavigate back to the product pages to get more information on the product they’re trying to purchase. Also, as surprise shipping fees are a huge factor in cart abandonment, no shipping estimation or fees on the checkout page means that the customer can’t get an idea of how much this will actually cost. Remove distracting navigation from your checkout page and include information about the products and price. This example is a great checkout page- it passes the squint test, I know exactly what products I’m purchasing, and there’s even estimated shipping (with the shipping times) to let me know when I should expect my order. This is a rough one. When your customer adds something to their carts, the number over the cart should update to reflect that they’ve added a product. This helps reassure your customer that they’ve added the right number of products. Also- if they can’t navigate easily or look at their cart while they’re shopping, they’ll be less likely to complete the purchase. Make sure that a customer can either click or hover over the cart to view the products they’ve already added. This helps them make sure that they’ve added the products they want, minimizing the need for them to navigate away from the cart once they’re ready to checkout. While fixing these checkout flaws can give you a leg up on reducing cart abandonment, the other reasons that a customer might abandon their carts has to do with the customer journey and decision making. With these reasons, it’s useful to have an abandoned cart email sequence in place to recover those lost sales. Going back to the customer journey, understand that customers who have added something to their carts are considered high intent. They like what you have and there is a desire on some level to own it. Emails sent out within the first 20 minutes after the user abandons their cart are 3 times more likely to be opened. If you send it quickly, your open rates should be between 30-60%. Use a support tone instead of a sales tone in your first email to show your shoppers that you have their best interests at heart. If you managed to capture more than just their email address, use it to add a bit of personalization to your email which boosts open rates and CTR. The customer loved your products enough to add them to their cart- show them what they fell in love with. Remind them what they left behind. If you imply that your inventory is low for the products the customer abandoned, it creates a FOMO experience, inciting customers to come back and finish the purchase (before they lose their chance). Try a discount code or free shipping in your second or third email to mitigate any price or “unexpected shipping cost” reasons for abandoning their carts. Keep with the support tone, and offer your contact information in case the customer has questions about your products or policies. Using humor is always a great tactic- and best of all, it dials down the creepy factor. It’s no secret that cart and browse abandonment emails can be hyper effective at bringing back these lost leads and pushing them closer to conversion. Just always remember that no matter how you go about recovering these lost sales, keeping your customer engaged is always a positive thing, whether they convert today or tomorrow. Whether your issues are in your UX or in something else, leaks in the ecommerce sales funnel are an inevitable part of the industry. It’s how you go about optimizing your site and your customer communication that makes the difference in how bad they get. Using your data to spot these leaks can help you employ smart tactics to recover the lost potential sales and increase your revenue. 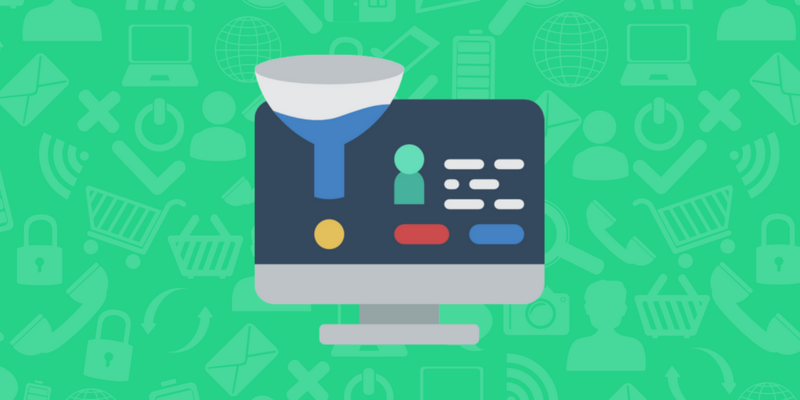 Article written based off our webinar with Colton Bradshaw of Cartstack on May 17th: Recovering Lost Leads & Customers Along Your Sales Funnel Using Simple Website Data.